Our newly built home is conveniently located in the village of Leland, one block from the Fourth Street Lake Leelanau public access, and within walking distance to shops, restaurants, Leland harbor, and Fishtown. We are only able to enjoy our home for about 6 weeks a year so we are making it available to responsible renters who will care for it as we would. Our home features 3 bedrooms with a Queen Bed in each room and a loft with 2 built-in Queen Beds (see floor plan pictures). There are 3 full bathrooms (one on each floor). The cottage has a wrap-around porch, outdoor furniture, a gas grill, and an outdoor fire pit. Other features include a washer/dryer, HDTV, audio system with connections for your music player, built-in lighting, hardwood floors, tiled bathrooms, and a full kitchen. We live and work in Asheville, North Carolina, but love to spend time in Leland. We have family in Leland and we have rented several homes in the village before we built our own place. We prefer to be in the village within walking distance to everything that Leland has to offer. We designed our place to have the cozy feel of a cottage, but with plenty of room and modern amenities. toilet, combination tub/shower, Large soaking tub with shower and vanity with single sink. We have great quality well water. We provide bath towels, hand towels, and wash cloths in all bathrooms. We also provide beach towels that you can use outside the home. We have a house phone with unlimited local and U.S. long distance calling. The location has decent AT&T (GSM) and Verizon (CDMA) service. We can also add your AT&T phone to a MicroCell if needed. Full IKEA kitchen, granite counter top, eat-in bar with stools, and stainless steel appliances. Rectangular dining table with 6 chairs. 4 additional folding chairs are located in basement if needed. We also have an outdoor table on the covered porch with 4 chairs. If you rent or bring your own canoe, kayak, or paddleboard, there is a public dock at the end of Fourth Street where you can put your boat in Lake Leelanau. The dock is within walking distance. Boat rentals are available in the area. See guest information book in the cottage for details or inquire with owner. Downhill skiing is available at The Homestead and Crystal Mountain. There are also cross country ski trails in the area. Nearby public courses within short driving distance. Manitou Passage Golf Course if 10 miles away. We stock the home with basic necessities. It's a nice place and we expect our renters to treat it with care. We absolutely cannot permit any pets or smoking in or around the home. There is a park nearby on Union Street and a children's playground at the school on the north end of Fourth Street. The most peaceful place that I have ever lived. The only word that comes to mind to describe this home is 'perfection'. I stayed here for about a month and a half and really got the full experience. Everything about the home is just so comfortable, warm, and beautiful. From the woods that were used throughout, to the beds, to the light that comes through the many windows and skylights. It truly feels like home. Now what could be better than a perfect home? Well, a perfect host. And Mike was exactly that. Always so helpful, patient, and always willing to make sure I was as comfortable as possible. I couldn't write a review and leave out Jane (the next door neighbor and Mike's mother). She welcomed me like one of her own sons. What a wonderful woman! So thoughtful, sweet, and very wise. She was also the most perfect neighbor one could ever want. I will conclude with this, some places carry on with you long after you've left and this is one of them. Feelings of joy, happiness, and love. Ones that you too will experience as soon as you walk through that front door. Pristine! Love the TC area and Leland in winter is the best...nobody! The house is immaculate! We loved the property and the area. Mike's house is a gem and the area is quaint and peaceful. Hiking Sleeping Bear Dunes in Dec is an experience everyone needs to enjoy. Had a great time and will be back! The owner’s personal involvement during our rental experience was heart warming. He was so personable and helpful with all my questions and concerns. Our group of girls had a wonderful time and all our needs were met. I would definitely recommend this rental to anyone. The beach is only a short walk away and very enjoyable. Adequate sleeping quarters, functional well supplied kitchen, relaxing fire pit, washing machine on sight. It has it all. Thanks for a wonderful get away. Great place, great location, great owner. Second time we have stayed there and it didn’t disappoint. We had a delightful stay! The home is beautiful and equipped with everything you could need. The location is ideal and Leland is charming with beautiful sunsets over Lake Michigan. Wonderful family time! Located in the village of Leland within walking distance to Lake Leelanau & Lake Michigan beaches, Fishtown, Leland harbor, shops, and restaurants. 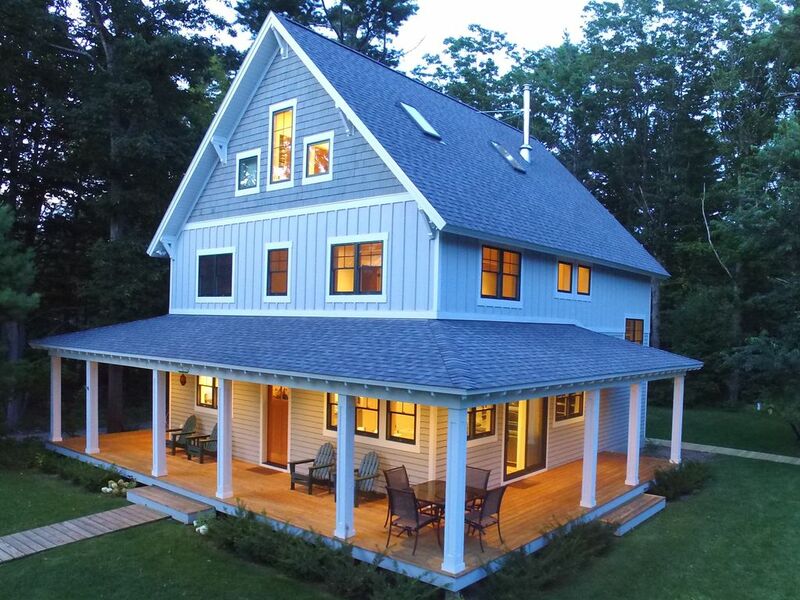 This new cottage is conveniently located one block from Fourth Street public beach and dock on Lake Leelanau.